Parmilieu Rhône-Alps is beautiful and has lots of guest houses. Ofcourse we are only looking for the best guest houses in Parmilieu Rhône-Alps. It’s important to compare them because there are so many places to stay in Parmilieu Rhône-Alps. You’re probably wondering where to stay in Parmilieu Rhône-Alps. To see which guest house sounds better than the other, we created a top 10 list. The list will make it a lot easier for you to make a great decision. We know you only want the best guest house and preferably something with a reasonable price. Our list contains 10 guest houses of which we think are the best guest houses in Parmilieu Rhône-Alps right now. Still, some of you are more interested in the most popular guest houses in Parmilieu Rhône-Alps with the best reviews, and that’s completely normal! You can check out the link below. Skip to the most popular guest houses in Parmilieu Rhône-Alps. Situated in Vertrieu in the Rhône-Alps region, Relais du Destin is a guest house boasting a patio. Guest staying at this property benefit from a free WiFi connection and certain rooms feature a view of the Rhône river.Each room has a private bathroom with a shower, hairdryer, bathrobes and free toiletries. All rooms feature a flat-screen TV and a coffee machine.Relais du Destin also offers an apartment with a fully equipped kitchen with an oven, microwave, fridge and toaster. The apartment had a private patio.Walibi theme park is 24.9 miles Relais du Destin, Lyon is 31.1 miles away and Aix-les-Bains is 49.7 miles away. The nearest airport is Lyon – Saint Exupery Airport, 24.9 miles from the guest house. 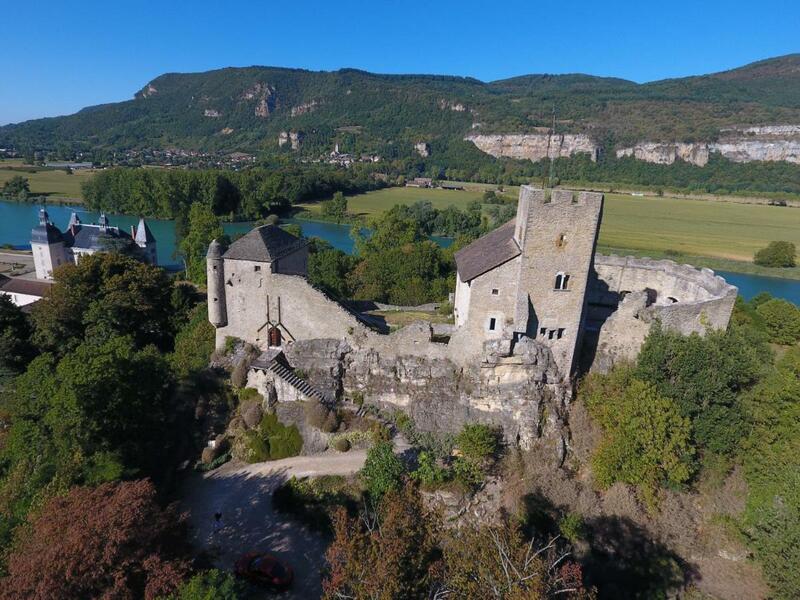 Un très beau et vaste bâtiment, superbement aménagé et décoré, dans le moindre détail et avec beaucoup de goût, dans un charmant et typique petit village, avec un grand parc au bord du Rhône, face aux falaises du Bugey. Un accueil personnalisé et très convivial des propriétaires, personnalités intéressantes et attachantes. Das Ambiente ist sehr sympathisch und das Besitzpaar sehr gastfreundlich. Das gemeinsame Essen ist ein weiterer Höhepunkt. Wir kommen gerne wieder mal zurück. Très bon accueil. L’établissement a beaucoup de charme, il s’agit d’une ancienne maison dauphinoise bien conservée. L’appartement que j’ai occupé est confortable et bien équipé. Très belle demeure, très propre, très bon accueil par les propriétaires. Repas maison.Petit dej au top. Discussion. Savoir vivre. Acceuil, on se sent vraiment comme a la maison. Merci bcp a Francis et a Horia, vraiment une belle decouverte en esperant vraiment y retourner et prendre un peu plus de temps cette fois pour decouvrir les environs. 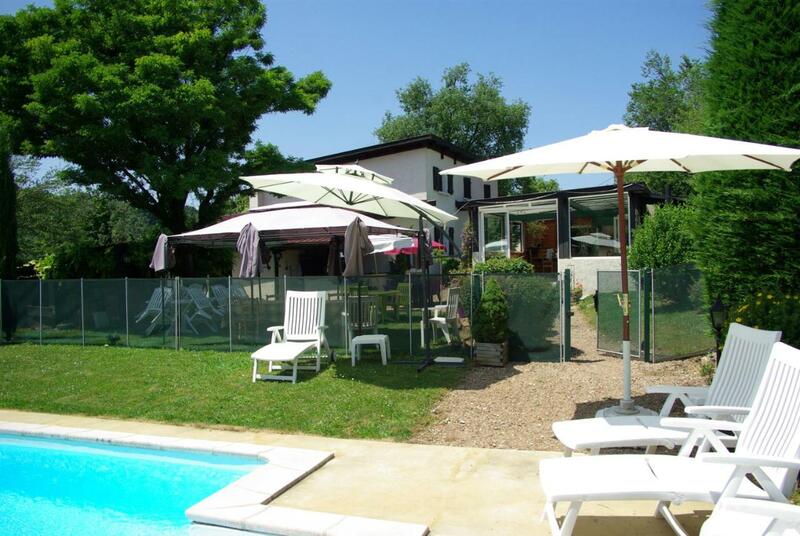 Located in Vertrieu, 27 miles from Lyon, maison forte vertrieu features free WiFi access and free private parking.Aix-les-Bains is 29 miles from maison forte vertrieu, and Bourg-en-Bresse is 24 miles from the property. Saint Exupery Airport is 17 miles away. Featuring free WiFi throughout the property, La Maison de la Noisette offers accommodations in Annoisin-Chatelans. Free private parking is available on site.Certain rooms feature a sitting area to relax in after a busy day. You will find a kettle in the room. Each room comes with a private bathroom. Extras include free toiletries and a hairdryer.Lyon is 22 miles from La Maison de la Noisette, and Aix-les-Bains is 31 miles from the property. The nearest airport is Saint Exupery Airport, 11 miles from the property. French breakfast very tasty. Very helpful landlady. Very peaceful place at the countryside. l’accueil chaleureux des propriétaires ,le dîner et le petit déjeuner super , et le calme assuré dans la campagne , c’est super. La gentillesse des hôtes. La chambre est confortable et très propre. Le petit déjeuner copieux. Le jardin magnifique. Maison Rioufol is located in Creys-et-Pusigneu, just 30 miles from Lyon. Free private parking is available on site.Each room includes a flat-screen TV. Certain rooms include a sitting area to relax in after a busy day. Enjoy a cup of coffee or tea while looking out at the mountains or garden. The rooms are equipped with a private bathroom. For your comfort, you will find slippers and free toiletries.There is a shared kitchen at the property.Aix-les-Bains is 23 miles from Maison Rioufol, and Chambéry is 27 miles away. The nearest airport is Saint Exupery Airport, 18 miles from Maison Rioufol. Very Cozy with a personal.touch. Owner very friendly. Room is good size for family of 4. Perfectly located between Grenoble and Lyon for a night before flying home from Lyon airport. We arrived after snowfall and the property looked beautiful, we were met with warm hospitality, our room was beautiful, best beds and best shower of our five week holiday in France. The room was spacious and very comfortable. Even though we arrived late and had problems advising our host of the delay, Sylviane and her family were very accommodating and prepared us a lovely meal. Exceptional hospitality: helpful and friendly. Nothing was too much trouble. Fabulous meals. Highly recommended! La literie et l ambiance cosy et déco parfaite de la chambre très spacieuse au demeurant . Le petit déjeuné parfait , varié et d une fraîcheur irréprochable. 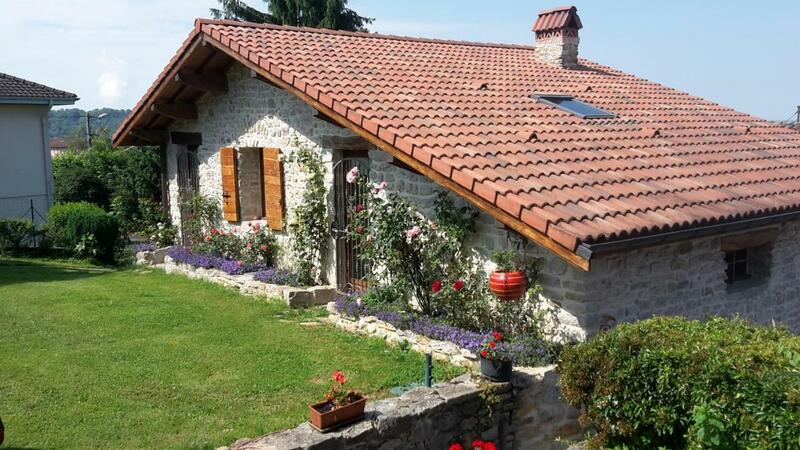 Featuring free WiFi, Relais Ville Vieille offers accommodations in Ordonnaz, just 29 miles from Annecy. Free private parking is available on site.Every room has a flat-screen TV. You will find a coffee machine in the room.There are lots of activities in the area, such as canoeing and hiking. Aix-les-Bains is 21 miles from Relais Ville Vieille, and Chambéry is 26 miles away. The nearest airport is Chambéry-Savoie Airport, 21 miles from the property. Located in Ambérieu-en-Bugey, 29 miles from Lyon, Le Grangeon 01 features free WiFi access and free private parking.A TV, as well as an iPod docking station are featured. Certain units include a sitting area to relax in after a busy day. Enjoy a cup of coffee while looking out at the garden or city. All rooms have a private bathroom.Bourg-en-Bresse is 18 miles from Le Grangeon 01, and Villefranche-sur-Saône is 30 miles from the property. The nearest airport is Saint Exupery Airport, 22 miles from Le Grangeon 01. 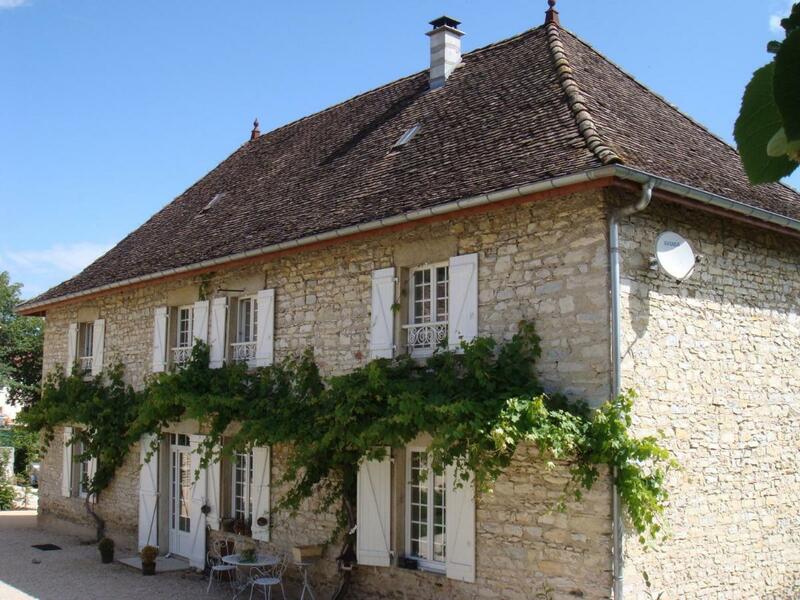 Beautifully decorated ancient stone house in a very quiet old part of the town dominating Ambérieu and the Ain plain with all the confort and the modern appliances and technology you can think of (even an indoor lift and a billiard-table). Shared garden (deck-chairs, garden table and chairs, barbecue) and a swimming-pool. And above all, a very warm welcome by the nice landlords, Annick and Francis . A very nice place to recommend your friends and relatives !!! Gite incroyable aménagé de façon très originale et présentant un standing de très haut niveau. Superbe maison très bien restaurée, accueil très sympathique des propriétaires, jardin très calme et équipement parfait. Un très bon séjour au coeur d’une région riche en découvertes. Jolie maison au calme, très bien aménagée. Les propriétaires sont très accueillants et aux petits soins pour leurs hôtes. Nous ne sommes restés que quatre jours, mais aurions volontiers poursuivi notre séjour! Showcasing a sun terrace and views of the garden, Castillet is located in Crémieu in the region of Rhône-Alpes, just 20 miles from Lyon. Guests can enjoy the on-site restaurant. Free WiFi is featured and free private parking is available on site.Certain accommodations have a sitting area where you can relax. Extras include free toiletries and a hairdryer. 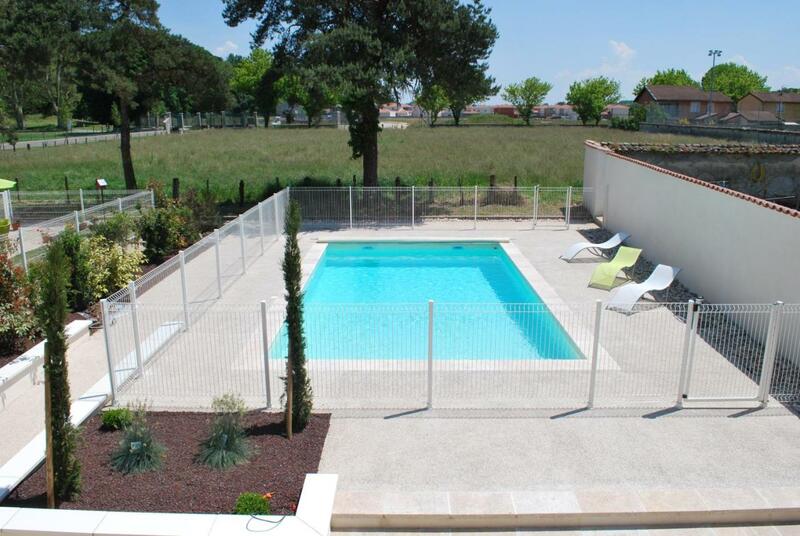 A flat-screen TV is available.Villeurbanne is 18 miles from Castillet, and Bron is 16 miles from the property. The nearest airport is Saint Exupery Airport, 8 miles from Castillet. Tranquil. There can be few places that offer so much if you delight in peace and quiet. We would congratulate our hosts on providing a true taste of country house living, with enthusiasm and charm. The room was spacious with a comfortable bed and beautiful decor. The owners were friendly and accommodating. Breakfast was simple, but fine – fresh fruit (and yoghurt when we asked for it) and croissants and baguette with home-made jam. Fabulous home beautifully decorated in local style to suit its history. Lovely to wake up under the beams in the tower attic. 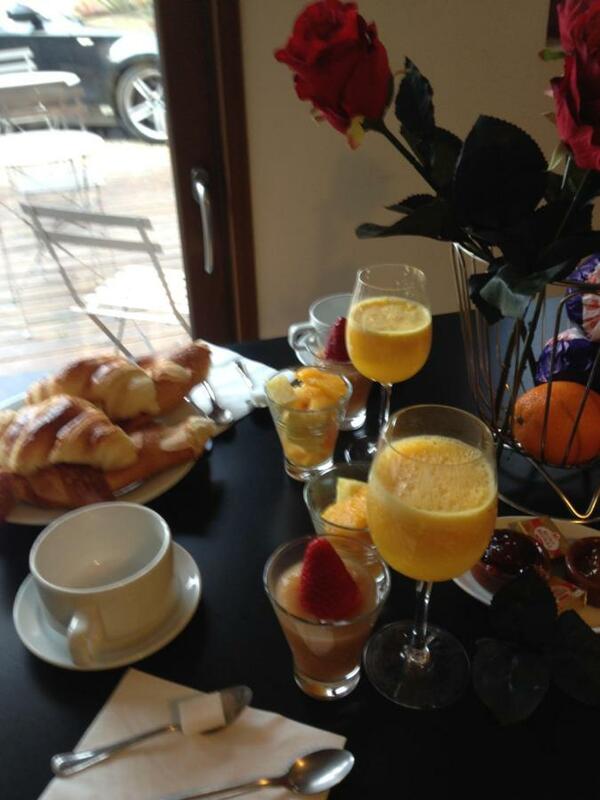 Delightful, thoughtful host and hostess – and traditional French breakfast with all home-made fare. very warmhearted hosts, well organised, very engaged and passionate about their home and hosting… quite a pity we didn’t eat her home made cooking this time around but maybe next time? M and Mme Bergonzo were very welcoming and the property was charming. Our bedroom was in a tower and it was enchanting to wake up to the sound of birds in the surrounding trees. 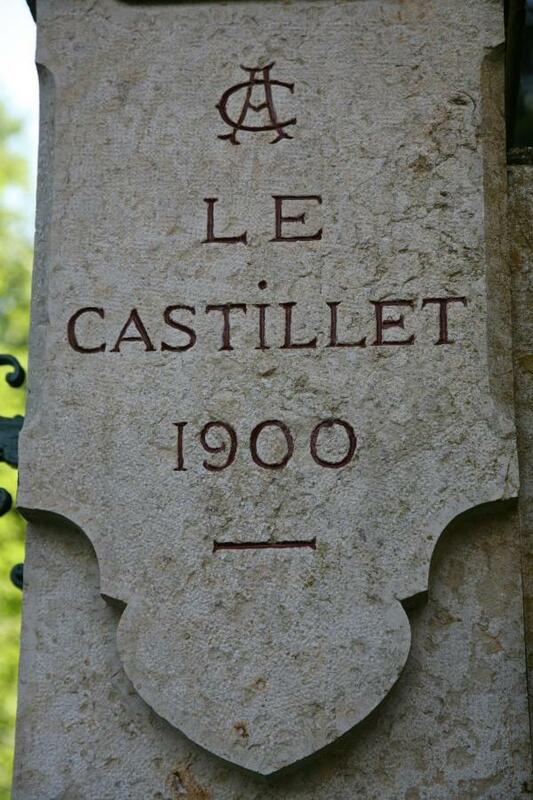 We had dinner at Le Castillet and it was very enjoyable to sit and eat a pleasant meal with the hosts and other guests and talk about the meaning of life. Featuring free WiFi and a terrace, The Resid for Calixte offers accommodations in Pérouges. Free private parking is available on site.Each room is equipped with a flat-screen TV. All rooms come with a private bathroom.Lyon is 19 miles from The Resid for Calixte, and Bourg-en-Bresse is 21 miles from the property. The nearest airport is Saint Exupery Airport, 14 miles from The Resid for Calixte. The host Alain is very friendly and efficient. Checking in and checking out is done within the blink of an eye. The room is situated directly next to the lovely village of Perouges and also close to the highway. You can park your car on private parking only for the guests. A perfect location if you want to make a stop for one night. Everything was clean and Alain also made a very nice French breakfast. If you are going to spend a night at Perouges (and you should, because then you can finally see the town without the crowds), this is the place to stay. Comfortable rooms at a hotel reminding you of an old-times inn, good parking, plentiful breakfast and attentive owners – what else could you wish for a one-night stay? Less than one minute away from old city and a very nice restaurant. Easy parking. Breakfast was good. Room was clean. Price was very reasonable. Located in Villette-dʼAnthon in the region of Rhône-Alpes, 14 miles from Lyon, Chambres d’hôtes La Leva features an outdoor pool and barbecue. The guesthouse has a playground and sun terrace, and guests can enjoy a meal at the restaurant. Free private parking is available on site.Every room is equipped with a flat-screen TV. Some rooms include a sitting area where you can relax. Certain rooms feature views of the pool or garden. All rooms have a private bathroom fitted with a shower.There is a shared kitchen at the property.Bourg-en-Bresse is 29 miles from Chambres d’hôtes La Leva, and Villefranche-sur-Saône is 23 miles away. The nearest airport is Saint Exupery Airport, 6 miles from the property. The hosts were very friendly and the breakfast delicious. The B & B is run by a lovely family. Large roomy spaces. In a small village. It was the barn on castle property. The castle is still there. The goat barn has been converted with quality materials with an eye to comfort and design. Lovely stay. Would definitely go back and recommend to friends. Virginie the owner very kind and wellcoming. We enjoyed conversations with her and her husband. Good dinner, recommended. Room on ground floor spacious and clean. Very comfortable parking close to the room. Good WiFi. Virginie helped us a lot with a problem with our rented car which we could not solve. THANKS AGAIN! The once-farm is turned into a very romantic little hotel with breakfast included. The owners are young, very friendly and hospitable. The rooms are created with astonishing sense for design and color selection and are extremely clean including the bathrooms. The common area has fully equipped kitchen and area for relaxing. We did not get a chance to try the pool since it was too cold. There are options for walking in a very nice park near by or in the village. The WiFi was great everywhere on th property. This place was amazing. It’s a beautifully restored family farm. We needed an accommodation relatively close to the airport which is how we found it. Absolutely over the top. We would highly recommend it. 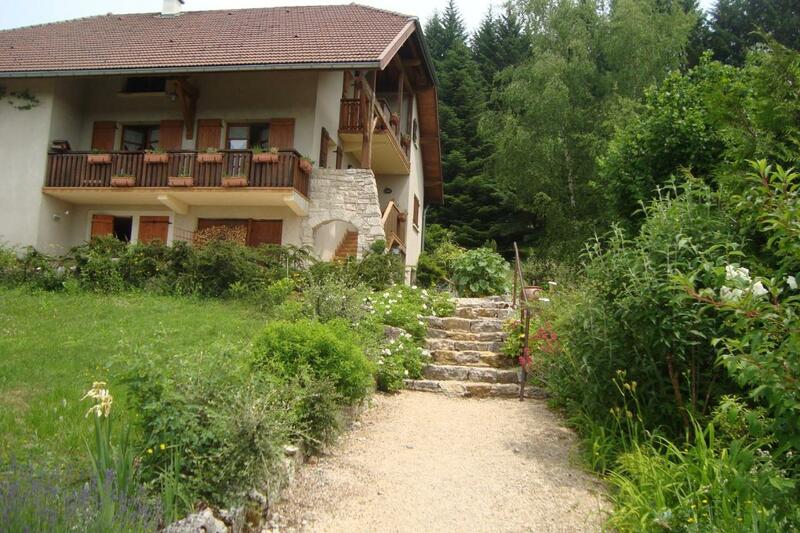 Located in Cormaranche-en-Bugey, 25 miles from Annecy, La Maria features free WiFi access and free private parking. Guests can enjoy the on-site restaurant.Certain rooms feature views of the mountains or garden. For your comfort, you will find slippers and a hairdryer.You will find a shared lounge at the property.This guest house has ski storage and free use of bicycles is available. A variety of activities are available in the area, such as skiing and hiking. Aix-les-Bains is 23 miles from La Maria, and Chambéry is 30 miles away. The nearest airport is Chambéry-Savoie Airport, 25 miles from La Maria. accueil chaleureux, MARY est aux petits soins avec ses locataires! Les chambres sont spacieuses, confortables, très calme. La vue est belle, en pleine nature. Les repas et petits déjeuners sont excellents, très copieux, avec un bon feu dans la cheminée, parfait. La cuisine familiale et la proximité des sentiers de promenade raquettes et pédestres. The above is a top selection of the best guest houses to stay in Parmilieu Rhône-Alps to help you with your search. We know it’s not that easy to find the best guest house because there are just so many places to stay in Parmilieu Rhône-Alps but we hope that the above-mentioned tips have helped you make a good decision. We also hope that you enjoyed our top ten list of the best guest houses in Parmilieu Rhône-Alps. And we wish you all the best with your future stay!